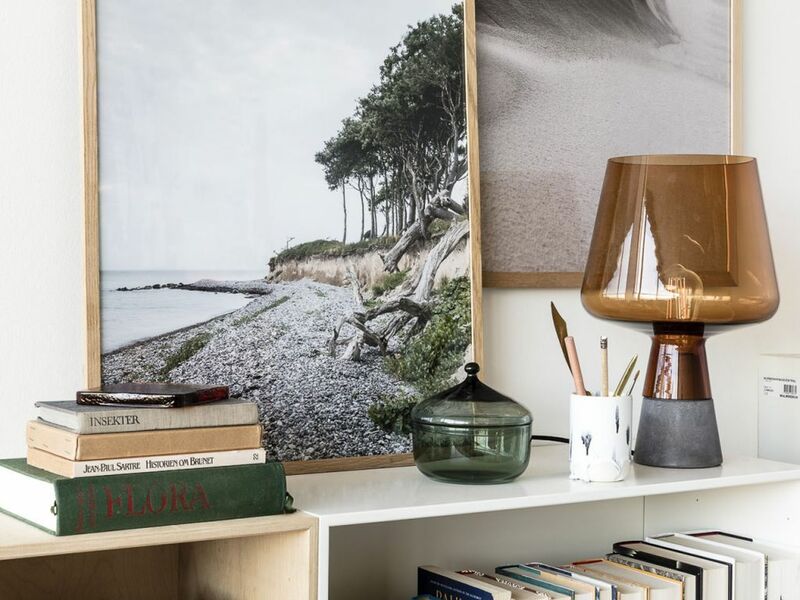 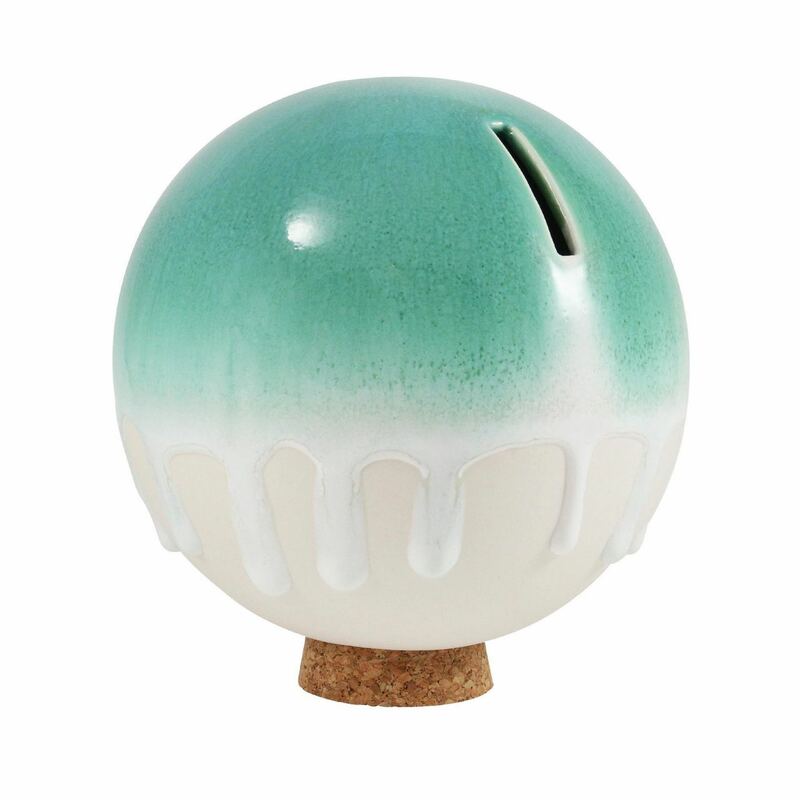 The Orb is a hand-cast porcelain money bank glazed in a myriad of hi-fire color combinations. 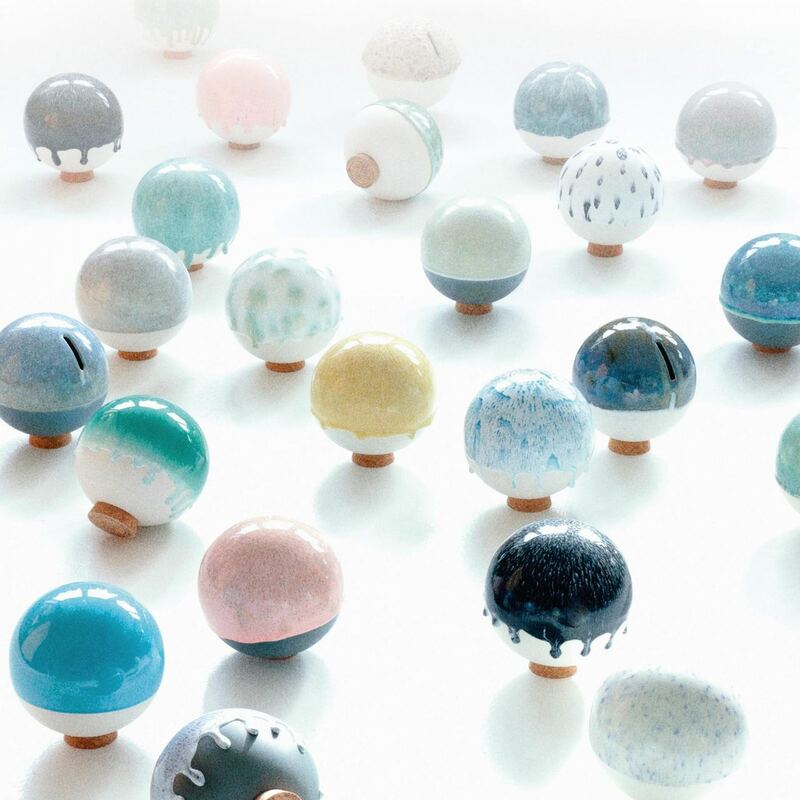 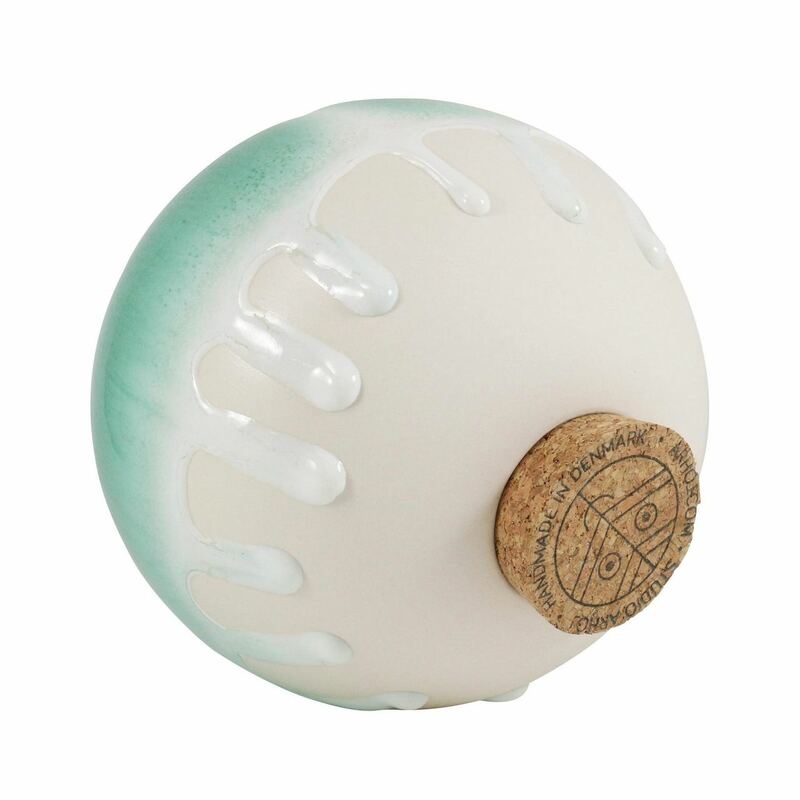 Each Orb rests on a cork stopper foot - there is no need to smash it to retrieve your savings. 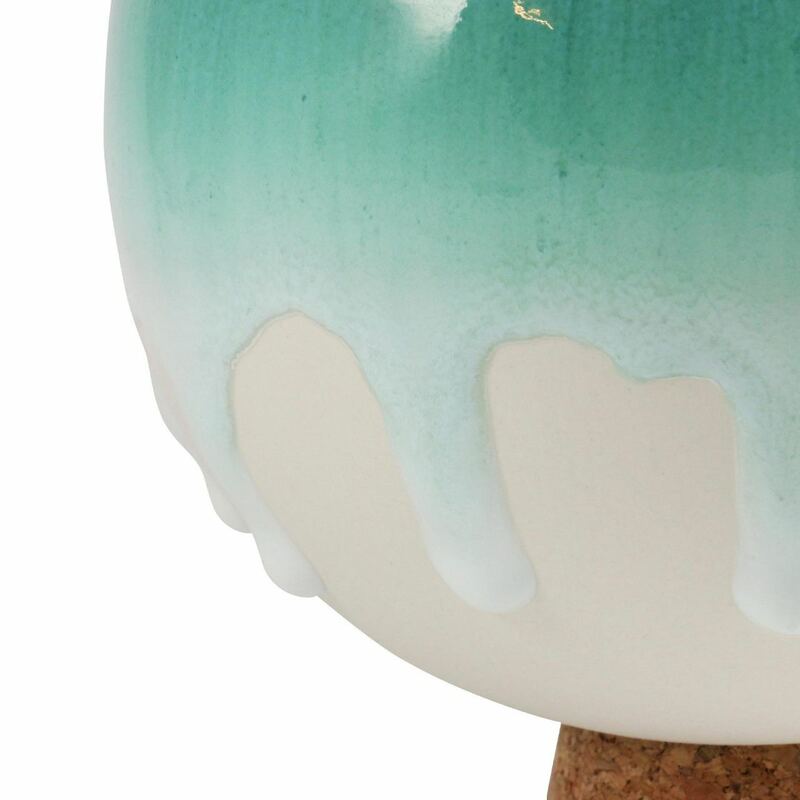 It makes fantastic gift for a newly married couple, a graduate or a child learning to save.